Top of the Leaderboard: Ms. Howell’s 3rd Graders Confidently Get There Thanks to Splash Math Hippo! Ms. Howell’s 3rd grade classroom is abuzz with (math) activity these days. Sixteen students, eight laptops, two iPads, an encouraging teacher, and a ton of math confidence: that’s what it took for this class to get to the top of the Splash Math SpringBoard Leaderboard at the end of Week One! Ms. Howell shared with Splash Math how this relatively small class of 16 students got right there to the top. When did your class start using Splash Math? Last week! In fact we started on Splash Math only on Tuesday, a day after your contest started. 7 Year Old Evan Having Fun With Splash Math! We thank Natalie Rollins, mother of Evan – an autistic child – for sharing this inspirational video with us. Evan’s infectious smile motivates us to make Splash Math even better. 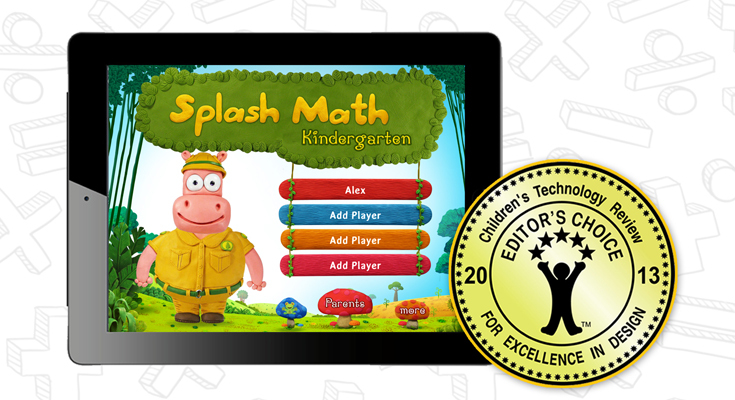 Splash Math Kindergarten App, prequel to Splash Math series (Grades 1 to 5), is on a roll. After getting featured in the “Real Teacher’s Stories” section on Apple.com earlier this year; the Kindergarten app is now honored with the Editor’s Choice Award 2013 from Children’s Technology Review (CTR). Extending the opportunity to connect with teachers and parents, we are here with our new blog. In this blog, we will share ideas on elementary school math education, parenting concerns, fun math learning techniques, educational issues and other math-worthy news. 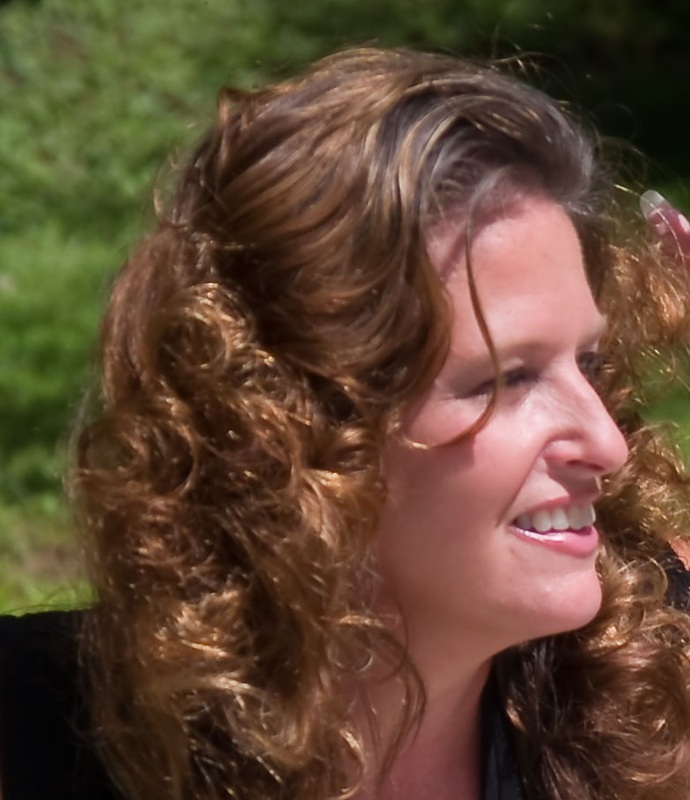 Our first article is by Katherine Burdick, a leading mobile learning evangelist. Titled – “What is Common Core and what do they mean to apps?” it talks about the importance of Common Core aligned curriculum and its relevance in preparing children for the 21st century by imparting the necessary skills. Katherine also discusses how few high quality iOS developers have focussed their content on the Common Core State Standards to enable parents and teachers leverage the use of iPads and get Common Core ready. Read more. Terror returns to the US. Reminiscing the blood-spattered scene after the 9/11 terror attacks, the shock waves of the twin bombings in Boston Marathon were felt in the whole of America on Monday afternoon. The fiery twin explosions in the swarming streets of spectators near the finish line of the Boston Marathon left at least three people dead and over 144 people severely injured; with injuries ranging from cuts and bruises to lower leg trauma, shrapnel wounds, ruptured eardrums and several amputations. And, the injury toll continues to go up. One more explosive device discovered near the bombing site was successfully dismantled by the security personnel. The Boston Globe reported victims were brought to eight area hospitals with metal debris and ball bearings entrenched in their bodies. StudyPad denounces this heinous terrorist attack and expresses its deepest condolences and concern for the bereaved families, who’ve lost their loved ones, as well as those who are critically injured. Ready for SUMMER SPLASH? Here comes the Splash Math summer review app for your kids, just right at the time when you need to refresh their Math skills. With literally hundreds of thousands of apps now being offered for tablets, smart phones, and other devices, it can be tough for a discerning parent to sift through them all and find the educational applications best suited to their own children. A few basic tips can help you narrow the search and set your kids up with apps that can help develop their skills and their minds–as well as keeping them entertained. 1. Identify the areas where you would like to boost your kids’ skills or understanding. If your child is on the verge of a reading break-through, the reading pre-skills apps might be just the thing. If “times tables” are a current school subject, you might look for an app that puts multiplication to practice. Keep tabs on what topics are being studied in school, and see what apps you can find that support the classroom-learning. Discuss with the teacher and have a look at curriculum aligned apps like our – Splash Math apps which are aligned to Common Core State Standards. And take advantage of the natural “teachable moments” that occur when your child asks questions or expresses an interest in something–head to the App Store to see what you can turn up that will engage your child on that subject. 2. Find a good App-Searching Tool. Apple, for example, offers a free application called “AppShopper,” which makes it easier to search the App Store offerings with a specific set of parameters you select yourself. You can choose your own criteria–including price, device(s) you use, and category (such as “Education), as well as keyword if you’re looking for something specific–and then browse all the apps that fit your set criteria. It’s a much more user-friendly process than trolling through the App Store itself, and you can even limit your search to the no-cost Free Apps if you’re on a budget. 3. Add educational programming with apps for educational channels. Television channels like PBS (and the more specific PBS Kids), the Discovery Channel, and the History Channel offer apps which enable your kids to watch educational programming from your mobile device. You may want to pre-select some programs, as some of the shows have more educational value than others, but the apps give you the advantage over the actual television set of being able to select a range of programs from the educational “archives” rather than being tied to the day’s set programming. 4. Add a “bookshelf” for each child. In addition to the games and interactive apps, don’t forget that your mobile device can carry books! You can create a virtual shelf for each of your children with a selection of books at their reading-level, and some of their “screen time” can actually be reading time. Depending on your child’s level in school and subjects being studied, you might even add some appropriate reference materials for homework-use. 5. Transform your mobile device into a study aid. For any given school subject, you can find an array of resources and study materials to support your child’s homework and studies. Look for flashcards, calculators, references for math or science, and perhaps even a homework-organizer app to help your child learn the skills of planning and organizing tasks. A mobile device and its accompanying apps can provide much more for your child than just educational gaming–although the great educational games shouldn’t be discounted either! You can transform your device into a comprehensive educational resource with the right addition of apps.